The dictionary describes dragons as fabulous mythical creatures. It is usually represented by a scaly and monstrous winged serpent with enormous claws and crested head. Dragons are often a gigantic reptile capable of breathing fire, flying, and taking out entire villages in one swoop. Almost always, they’re believed to be venomous with some myths saying that they have two or more heads. They might have a tail and two, four, or perhaps more legs. No matter what form it comes in, there is something magical and mysterious about this creature that has filled the imagination of millions of people throughout the years. However, it isn’t totally clear when they first emerged. The earliest descriptions from Sumerians and ancient Greeks indicate huge creatures that can fly. In ancient mythologies of different cultures, dragons are associated with the warrior sun god, water god or the Great Mother. These creatures are believed to be destructive and beneficial at the same time. According to some legends, dragons were evil enemies of mankind for it was a loathsome beast. They’re said to be born in a time before man—at a time of chaos. The reason dragons are important in mythology is that they are often used to tell stories about periods of great changes in history. In the Korean, Japanese and Chinese Culture, these creatures played a significant role in honing their culture since the start of recorded history. Korea – In Korea, they claim that dragons originate with their culture and have had four toes. When it travels north or east, it loses its toes but gains one when traveling west or south. Japan – In Japanese tradition, dragons are used by Buddhist temples as a decoration as well as a fountainhead for purification before worshipping. China – In China, they’re used as markings in stairways to which only the Emperor can be carried. It’s deemed to be a central figure of both evil and good in their legends. 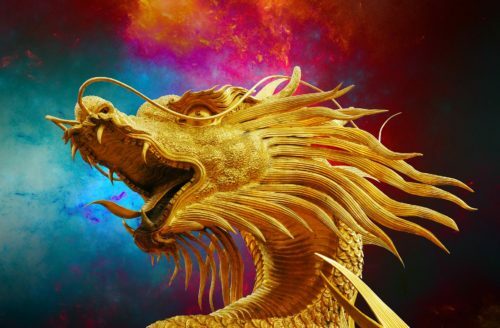 Chinese literature often has dragons with five toes and originated in their middle kingdom. By nature, it’s a gregarious creature wandering the earth but the farther it goes from the mainland, the more toes it loses. Elsewhere – In both the Eastern and Western hemisphere, dragons were believed to be the enemy of sun and moon. Thus, whenever there is an eclipse, it is assumed that a dragon has swallowed these heavenly bodies and accounting for the appearance of these creatures in the early age of astronomy. This creature never ceases to fascinate the hearts and interests of people. It fuels their imagination through literature, folklore and now in films, TV series, and video games. Maleficent – who could forget Maleficent? She’s the main antagonist in the hit Disney movie Sleeping Beauty. Maleficent is among the few dragons who spends most of her time in human form. But whenever she gets mad, she turns into a fire-spitting, ferocious creature which makes enemies run for their dear life. 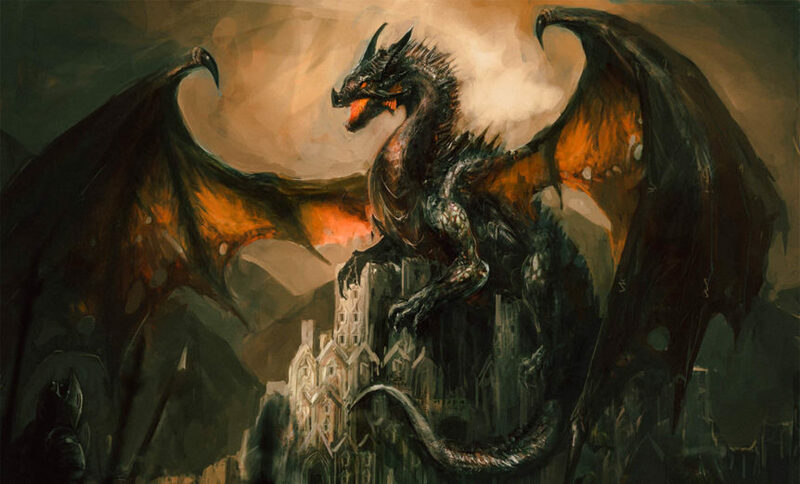 The Male Dragon – if you remember the movie Reign of Fire starring Christian Bale and Matthew McConaughey, this is the dragon that they fought against. It’s a huge, powerful and highly intelligent creature. Charizard – are you a big Pokémon fan? If yes, then you are no stranger to Charizard for sure. Charizard is a bipedal, draconic Pokémon and at the same time, one of the most valuable Pokémons around. In the card game, Charizard’s character is almost unstoppable. Drogon – oh yes! The famous dragon in the Game of Thrones series. Drogon! He’s one of the dragons that was mothered by Daenerys together with Rhaegal and Viserion. He’s named after Khal Drogo and distinguished by his red and black scales as well as red-black wing combination. Drogon is the most aggressive and biggest dragon among the three hatchlings and became extremely popular due to the success that the TV series has. Drogon is a gem in epic fantasy series and a wonderful representation of how powerful dragons can be. Toothless – while most of the dragons we have discussed so far are intimidating, often spit fire, and can destroy a village in 10 seconds flat, Toothless from How to Train Your Dragon is a different breed. Toothless is actually the most innocent and harmless dragon you can ever meet. While he does possess many strengths that make him deadly on a battlefield, he has a gentle soul with a child-like curiosity of the world around him. Honorable Mention: Blue from the Kacy Chronicles – he imprinted on Jordan and became her loyal companion. Beloved among Oriceran fans, he’s one of the many creatures in the Oriceran Universe that accompany the main character on their journey. 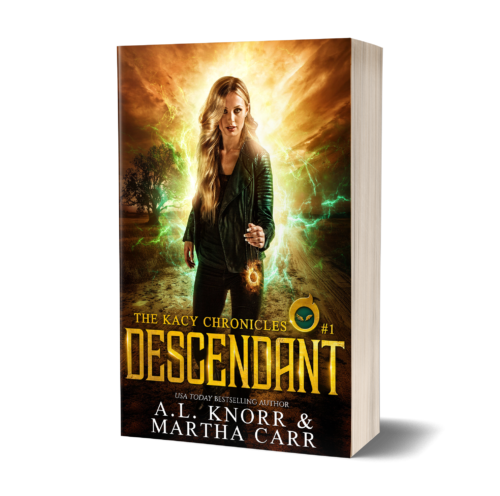 Jordan’s story begins with Descendant. The series is available on Amazon. Different cultures have their own view of what dragons are and even have their own names for them. Akhekh – this dragon originates from Egypt and is otherwise known as Akhekhu. It’s characterized as a fantastical beast with a long serpentine body with four legs to support it. It was believed to live in remote locations of Egypt, primarily beside the Nile Valley around the fringe desert. Drakon Kholkikos – this has its roots in Greece and is described as having three tongues, a crest and a magical set of teeth. As a matter of fact, there are multiple versions to how it has met its death with some saying that a hero slayed the dragon. Others allude to a situation wherein the witch Medea puts it to sleep using her. Druk – in Bhutan, this is called the “Thunder Dragon.” It’s the national personification of the Bhutanese monarchy, mythology, and culture. For this reason, it is featured in the country’s national flag and national anthem. Fafnir – the Scandinavian people believe in Fafnir. Probably, the most popular among all dragons mentioned. According to countless sagas, it is odd enough that the dragon began its life as a mere dwarf. It was known as the son of Dwarf King Hreidmar and was said to have killed his father to get the treasure and wealth that was stolen from æsir gods. Kukulkan – also referred to as Quetzalcoatl, Kukulkan was actually worshipped by the Mesoamerican people as being the great “Feathered Serpent” God in the pantheon of Toltecs, Mayans, and Aztecs. Kur – the ancient Kur is typically deemed as the very first dragon within the vast and deep literary tradition of Sumeria. Kur is described to live in the void deep below the surface of the earth. The monstrosity of this entity is related to how Sumerians visualize the underworld. Among its many wicked exploits, the dragon kidnapped the Goddess Ereshkigal once and took her to his netherworld realm. Python – depicted as being an earth dragon which came from slime in Delphi while some other sources are claiming that this entity is a female offspring of the Earth Goddess, Gaia. She’s described to be massively huge and it’s said that her gigantic coils easily stretch around the site of Delphi oracle. Stoor Worm – some call this as Mester Stoor Worm or Master Stoor Worm. It’s more of an evil monster from the Orcadian mythology or myths that pertain to the Orkney Islands in the northern part of Scotland. It’s known to have a fetid capacity to create contamination and pestilence among animals and plants. Vritra – this is a descendant from India and was more of an Asura or a spirit that is seeking dominance and power. It has a dragon-like representation here on earth. Known by its Vedic name Ahi which means “Snake,” Vritra has personified droughts that have imprisoned countless bodies of water. 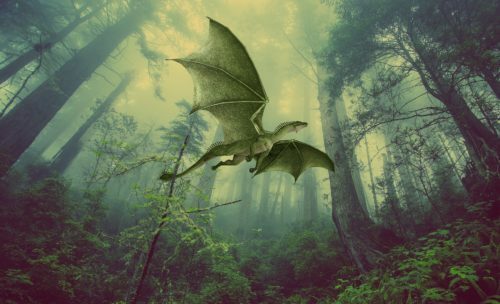 Dragons are one of the most popular creatures to appear in folklore and fiction. They appear across many cultures and are usually either feared or beloved. There are simply too many to name. 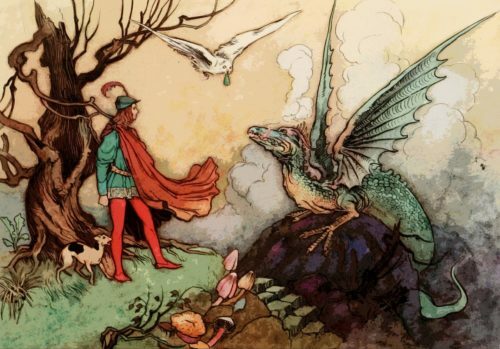 What is your favorite dragon in fiction?